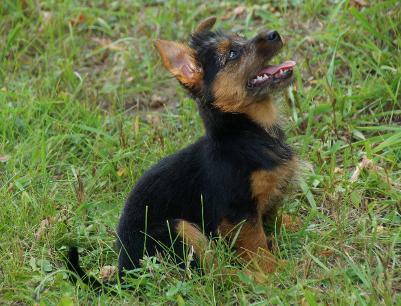 The gene pool in Australian Terriers is quite small. The only way to out cross and bring in new lines is to import and export. We feel as a breeder it is not only important for our own breeding program but for the breed over-all to introduce new blood. We have many breeder friends world-wide and we are very grateful to be able to work together for the betterment of the breed. AKC, International and National Puppy Champion Nellyson's Yippy Yippy Yay! "Loretta" joined our family from Tina Nordgren all the way from Sweden. She is a great addition to our family. 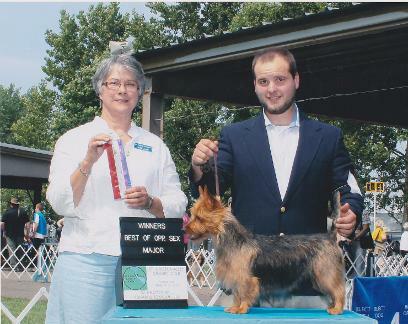 Loretta and her handler (Isaac) attended their first show together. She has been shown exclusively with Isaac and finished her Championship at 18 months old. Our first imported Aussie and our first finished Aussie with a natural tail. Thank you to all the Judges for recognizing this wonderful Aussie. Maybush Red Radiant Knight "Nova" joins our family. 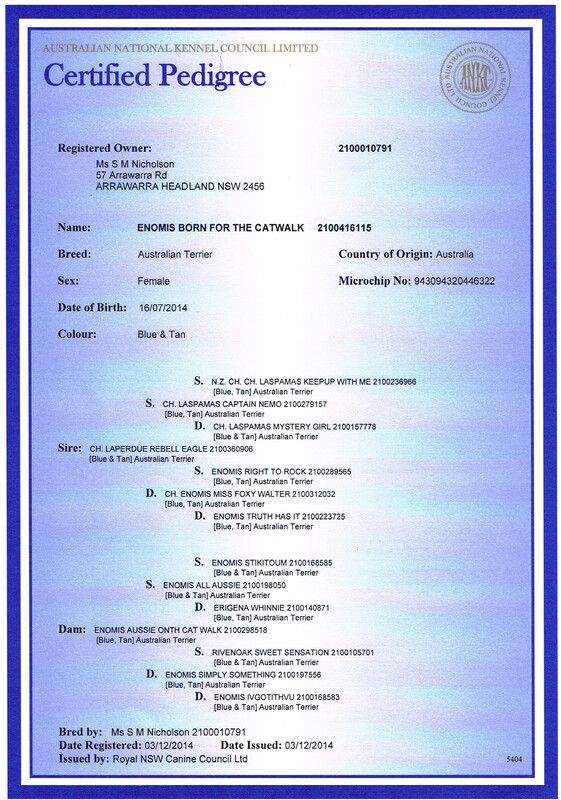 She was born May 22, 2014. Nova's mother AUS Ch. Laspamas Lucky Nomad "Lucky" her father, CAN Ch. 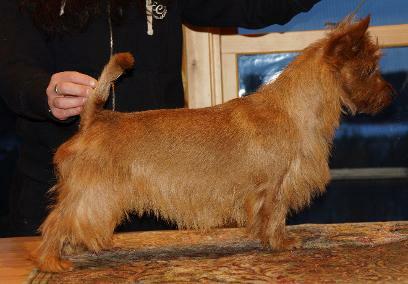 Wilfnbell Red Bondi "Tailer" is the #2 Australian Terrier in Canada and her Grandfather is the multi award winning Champion Jaskarin's Magic Number "Atti"
With her genes and her attitude, we are looking forward to exciting show news from this girl. Thank you to her breeder and our friend Sylvia Knight for this special little Aussie. 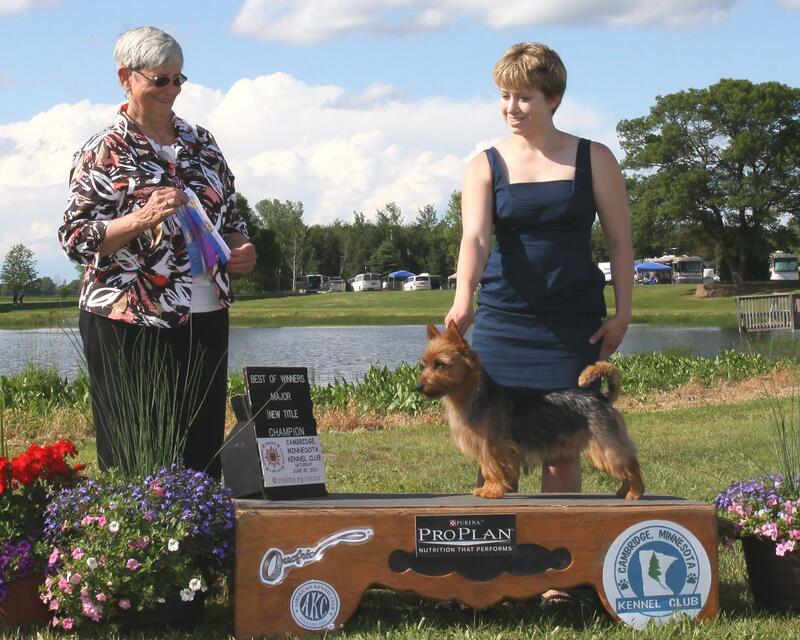 Nellyson's Ava Good Weekend "Snooza"
When my daughters and I attended the 2014 World Show in Finland we saw many beautiful Australian Terriers. 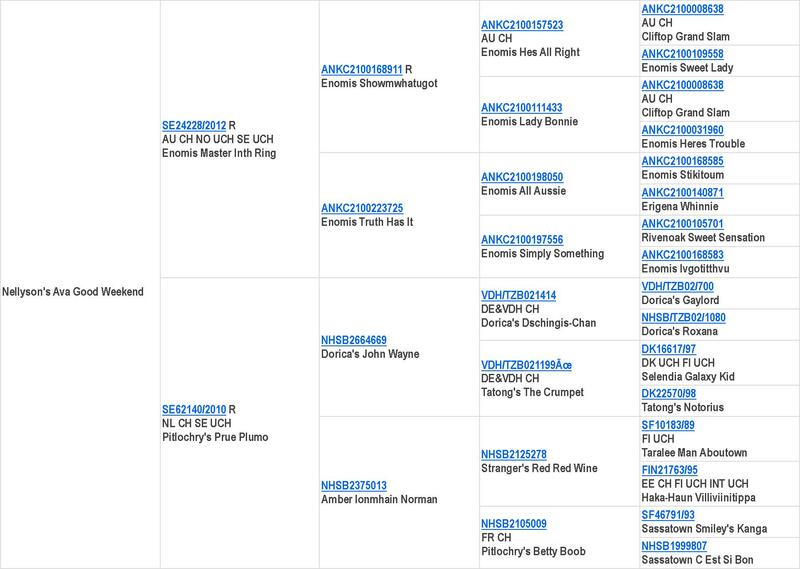 We also noticed a few that were being shown there that were imported from Australia specifically the Enomis Kennel. We thought they had many beautiful qualities and a pedigree that was different than we have in the USA. Thank you Steph for this opportunity. Enomis Aussie XFactor "Rugby". We imported Rugby from Steph Nicolas a breeder from Australia. She is owned and lives with Diana and Mac in Minnesota. He has so many qualities I am exciting about adding to my breeding program! Rugby is co-owned by us. Enomis Born for the Catwalk "Annie". 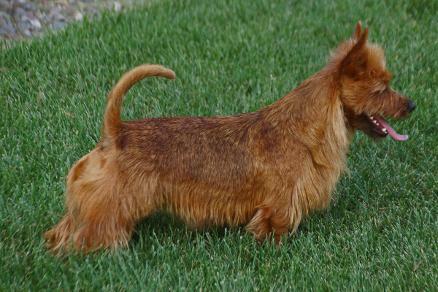 We imported Annie from Steph Nicolas a breeder from Australia. She is owned and lives with Mike and Sandra and co-owned by us. 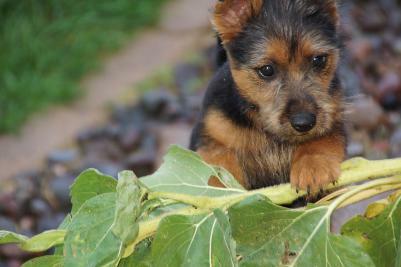 She is a gorgeous Australian Terrier with a very interesting pedigree. We are grateful to her breeder and look forward to watching her in the show ring.